The starting gravity is different. Finally hooked up the keg to the tap after carbobating this for 2 weeks. This beer is fantastic! My friends actually said they prefer to come over and drink this rather than stand in line at Treehouse. The beers clarity really improved while carbonating at 33 degrees from everything settling out. I prefer to shake up the keg to get everything in suspension to get more flavor. Either this beer or your session pale ale will always be on tap at my house. Thank you for the recipe and the many more to come! Excellent! Glad you're enjoying it! I'll be kegging a batch of it myself in a few days - can't wait! Curious as to why you are using the carboys as brite tanks? Wouldn't it be just as easy to add dry hops three days before kegging to the fermentor? Or is this to try and remove some of the cloudiness (muddiness) that you see in some NEIPA's? Definitely not to remove cloudiness as that's fine in an NEIPA. Racking twice does help reduce some of the yeast/trub however which is not a bad idea, but the main reason is to not leave the original hops in too long, make it easier to rack due to less hops, less yeast means less of the hop oils are absorbed too (possibly) and to be able to give it a gentle swirl a few times/day to keep the second round of hops wet. The first round gets roused by the yeast while the second round doesn't see much action since fermentation's done so I give it gentle swirl a few times/day if I remember. Next time I may just try what you mention and drop in the second round ~3 days before fermentation's done. It would actually save 3 days. Brewed this several weeks ago, I used Idaho 7 (007) hops in place of the Galaxy. Other than too thin a mash and having some circulation issues thus mashing at a lower temp than intended it came out great! FG wound up at 1.008, which is a bit drier than I wanted. I've since identified the issue so figure the next batch to be even better. Overall great recipe. I split the 10 gallon batch and fermented with Conan and London Ale III. Will be presenting at the Oklahoma Craft Beer Festival on Friday and Saturday. Looking forward to feedback from attendees. For myself I put it at one of top 3 IPA recipes to date. Nice! Thanks for sharing! Final gravity is so yeast, temp, and system dependant that it really takes a go or two at a recipe with subtle tweaks to get it where you want it. Looks great! I'm at day 3 in primary and have already hit terminal gravity. Had some problem with my temp controller where the beer got up to 72. Hops went in at 24 hours. Now the beer basically looks like that first pic you have labelled as "someone else's ipa". Is that expected? Worried that it's not going to brighten up. If at this point it is murkier than expected what are your thoughts on crash cooling before going into secondary? Or should I just let it ride. I know you mentioned it will clear some but that stuff has to drop out of suspension to clear up,right? I'm at day 3 in primary and have already hit terminal gravity. Had some problem with my temp controller where the beer got up to 72. Hops went in at 24 hours. 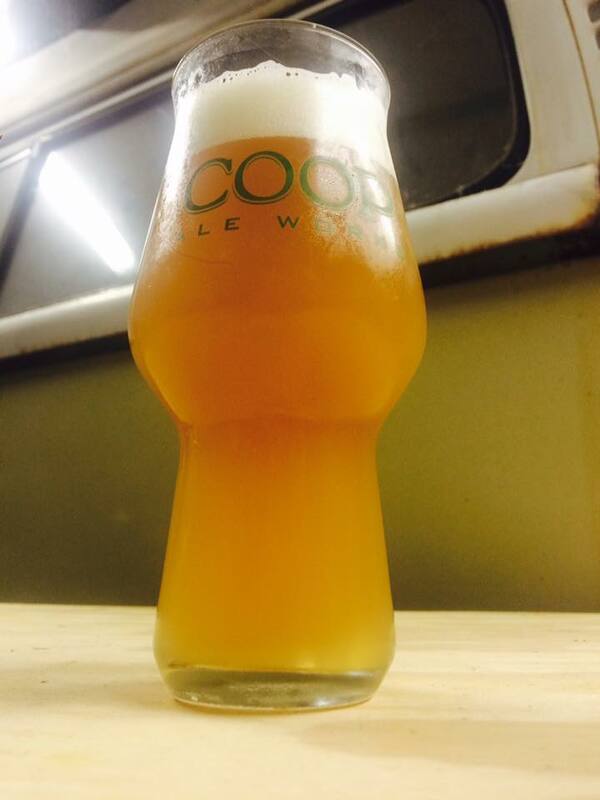 Now the beer basically looks like that first pic you have labelled as "someone else's ipa". Is that expected? Worried that it's not going to brighten up. If at this point it is murkier than expected what are your thoughts on crash cooling before going into secondary? Or should I just let it ride. I know you mentioned it will clear some but that stuff has to drop out of suspension to clear up,right? Either way, I would not be concerned. Continue as planned. As Charlie would say: RDWHAHB! (Relax, don't worry, have a home brew.). All will be good in the end. Thanks for getting back to me. To measure gravity, I have a Speidel fermenter with a spigot near the bottom so I just open it up and drain a small sample off and then use a hydrometer. My original gravity was 1.060 (lower than my target of 1.065), and the measured gravity last night was 1.010. I did a big 2-stage starter with Wyeast 1318 so I guess that is maybe why the yeast went through it so quickly. In previous batched I've pulled samples for measuring and nothing has ever looked this muddy. As I said it very much resembled the pic that you labeled as "Yum? I think? (Someone else's NEIPA).". Was your's anything like that when you transferred from Primary to Secondary? Since then I turned the temp controller to set the beer at 72. I'm not sure if that will have any impact on the muddy appearance of the beer. I don't remember, but then I didn't do it after 3 days. Give it time. Leave it a week. It's only been 3 days. It's normal that a lot of stuff is still in suspension. So you would suggest leaving it in Primary until the 1 week mark (even though it's fully fermented)? After only 3 days you can't know it's fully fermented. Normally 'fully fermented' means the gravity hasn't changed in about 3 days. You're at 1.010 now (already lower than the target of 1.015) but don't know it's 100% done. It may drop further. I can't seem to source Galaxy hops anywhere! Anyone have any ideas for a substitution? I see Citra as a possible replacement...but that's already being used...maybe El Dorado? Keep checking the links in the recipe as shops will have stock that comes and goes. I'm one of those Cannuk types I'll either hold off until I can source some of play with it a bit! I'll be brewing this in a few days and have a question about turnaround time. Since these NEIPAs are best consumed as fresh as possible and you really don't need to wait for anything to become nice and crystal clear, does it seem feasible to go from grain to glass in three weeks with this recipe? I'd like to take this to a party but my timeline is pretty short. What's the quickest people have turned this around? Beer is made with hops. Hops are plants. Beer is salad. Definitely possible. You should be able to go 10-14 days from brew day to kegging. Then if you're short on time, sometimes after kegging what I'll do is crank the CO2 regulator up to ~30-40 PSI and it carbs up in about 48 hours (check the carb level a couple of times/day by sampling and turn it down once it's where you like it). I in fact did this recently with my "Electric Hop Candy Jr" sessionable version of this beer just a couple of weeks ago. I kegged it 11 days after brewing and wanted to take some growlers on vacation so I cranked up the pressure for a couple of days. A beer like this is definitely best consumed fresh so it's almost better to force carb something like this quickly rather than wait ~2 weeks to let it carb "naturally" at serving pressure.